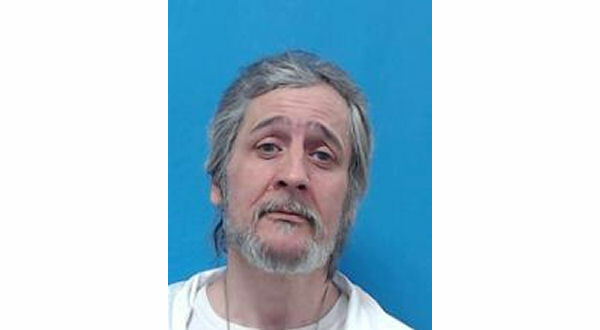 A Baxter County man has been placed on the sheriff's office most wanted list after his mother and stepfather were injured in an alleged domestic incident. Authorities are searching for 47-year-old Robert Hadley of Cotter who is facing two felony counts of first-degree domestic battery. His bond will be set at $50,000. Baxter County Sheriff's Investigator Sergeant Brad Hurst says in an affidavit deputies responded early Saturday evening to a report of a physical domestic incident on Walnut Lane in Cotter. Deputies arrived on the scene and witnessed a man reportedly holding a baseball bat and determined he was a neighbor assisting the victims. The neighbor picked up the bat to prevent the suspect from using it on someone else. The victims were inside their residence when the offender, identified as Hadley, became angry over an issue of five dollars he wanted to borrow from his mother to buy a knife. Hadley allegedly struck his 76-year-old stepfather in the head and hand with the bat and caused injury to his 65-year-old mother when she attempted to take it away. Hadley's stepfather suffered three fractures to his left cheek, a laceration to the back of his head, requiring stitches and an open fracture to his ring finger on the right hand caused by the strikes from the bat. Hadley's mother suffered injuries to her left arm and elbow, left thumb and right knee. She also had scratches and bruising to her neck from her son allegedly choking her. She stated Hadley had his right hand on the front of her neck, squeezing with his fingers, and the left hand behind her head. Both victims escaped the residence with Hadley staying in the house, but he left the residence unnoticed before deputies arrived. Hadley is described as a 5'8" white male weighing 151 pounds with brown hair and blue eyes. Anyone with information on his whereabouts is asked to contact the Baxter County Sheriff's Office at 870-425-7000.